Interested in attending our event? Register here and we’ll take care of the rest! 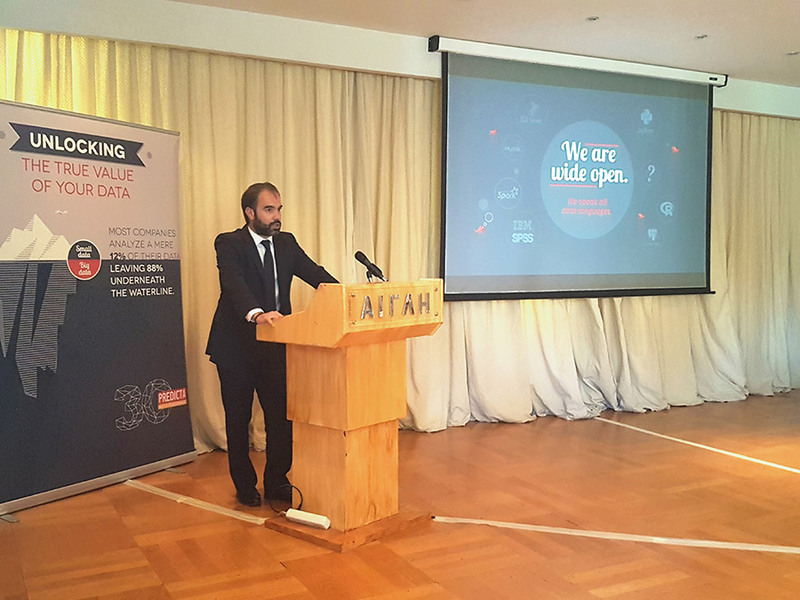 Along with our partners and clients we presented the need for modernised and advanced information governance strategies, to properly fuel intelligence endeavour. Our guests discovered the value of Data Analytics in an increasingly digital world and experienced how our partners discovered that value in their own success stories. Our guest speaker, Mr. Colin Shearer, Chief Strategy Officer at Houston Analytics, Industry pioneer and thought leader, shared his insights on the challenges of AI and Advanced Analytics applications from his broad experience in the industry. 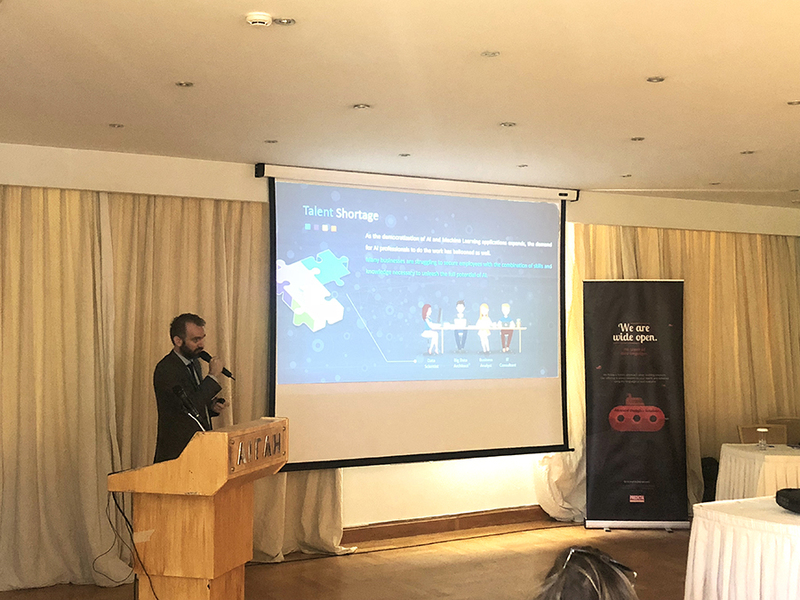 Our event was supported by the Hellenic Federation of Enterprises in a framework of an awareness increase strategy for AI and ML in Greece. 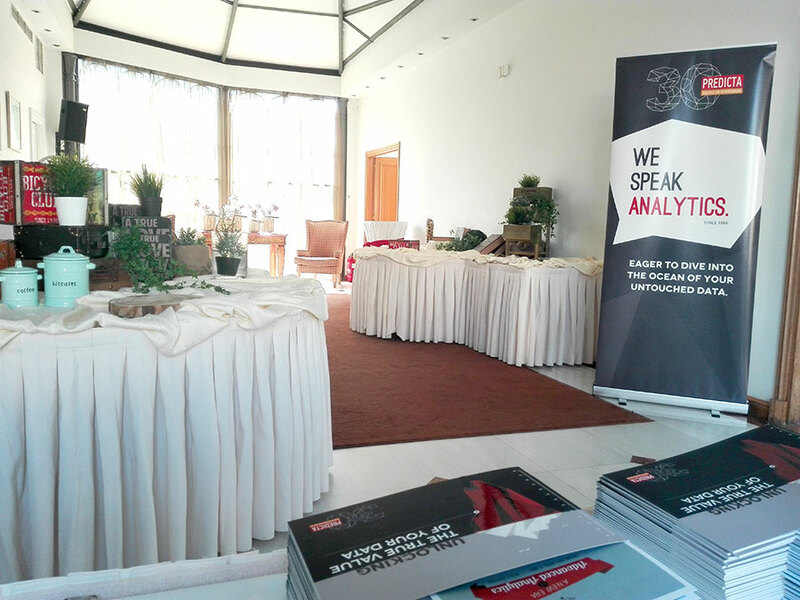 Our interactive event focused on deploying AI & ML in business’s current analytics environment and took place with great success. Our experts described how professionals can infuse continuous intelligence throughout the enterprise with freedom, productivity and trust, creating a new partnership between man and machine. Aegli Zappiou was an ideal place to gather, surrounded by the natural beauty of the National Garden, away from the city noise. Ilias Mamouras, our Services Deputy Director, simply and clearly demonstrated the difference between Machine Learning and Artificial Intelligence and discussed the barriers towards their adoption and the ways to overcome these barriers to reap the benefits of AI and ML. He also presented a successful ML pilot project implemented by PREDICTA’s team for a Telco provider. 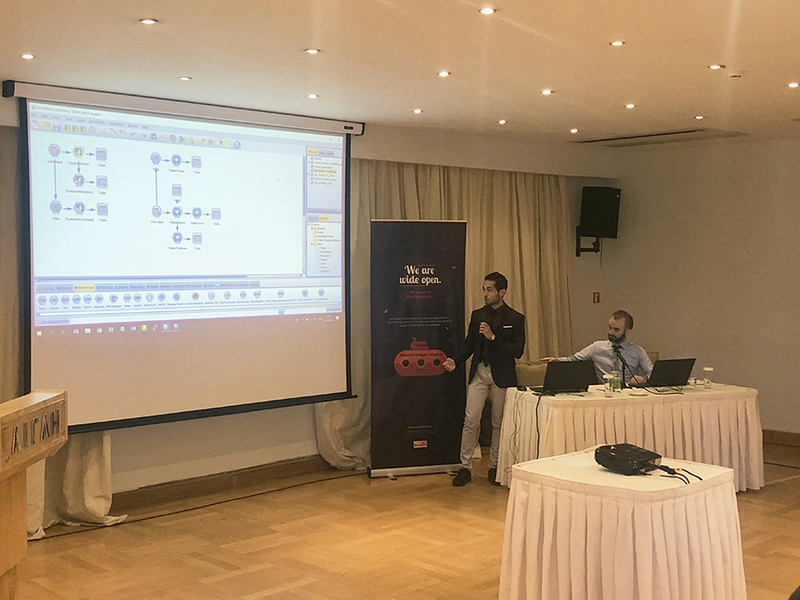 In the last part of our event, Manos Tavlakis, one of our Senior Data Mining Consultants, gave a live demo of IBM SPSS Modeler’s latest version and its interaction with open source tools. Analytics procedures for text mining, optimization, as well as geospatial analysis were demonstrated through challenging applications. 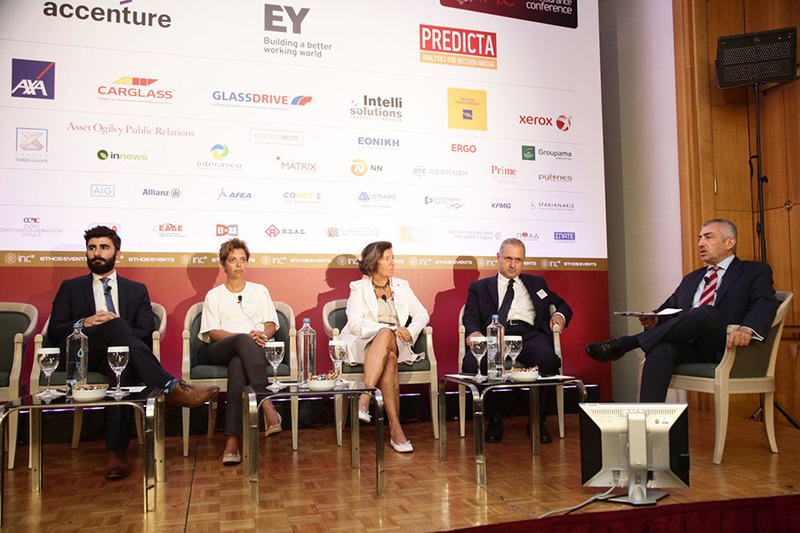 We are pleased to announce PREDICTA’s participation as a SILVER sponsor to the 11th INSURANCE CONFERENCE which took place on the 28th of June at DIVANI CARAVEL. 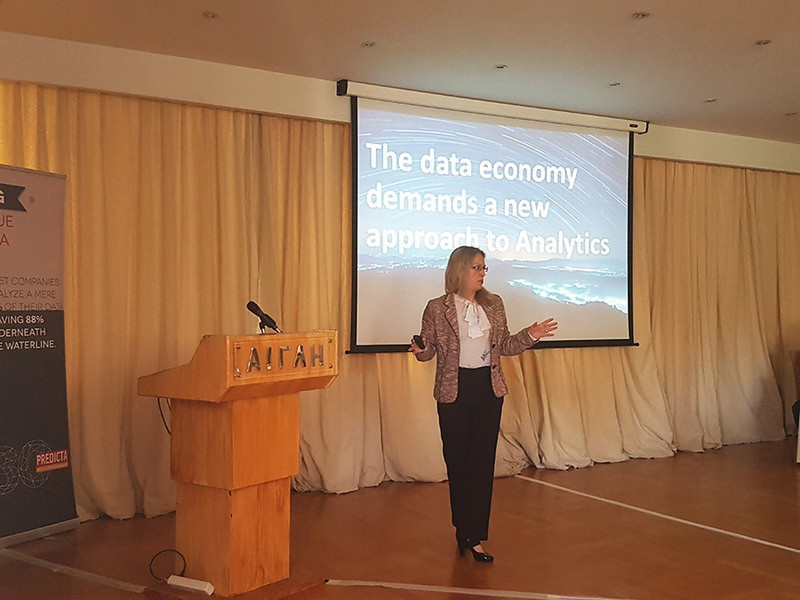 PREDICTA hosted representatives from major insurance carriers, such as AXA, GROUPAMA, NN, INTERAMERICAN and EUROLIFE for whom she offered a round table presentation and discussion on the use of Advanced Analytics, within the conference. 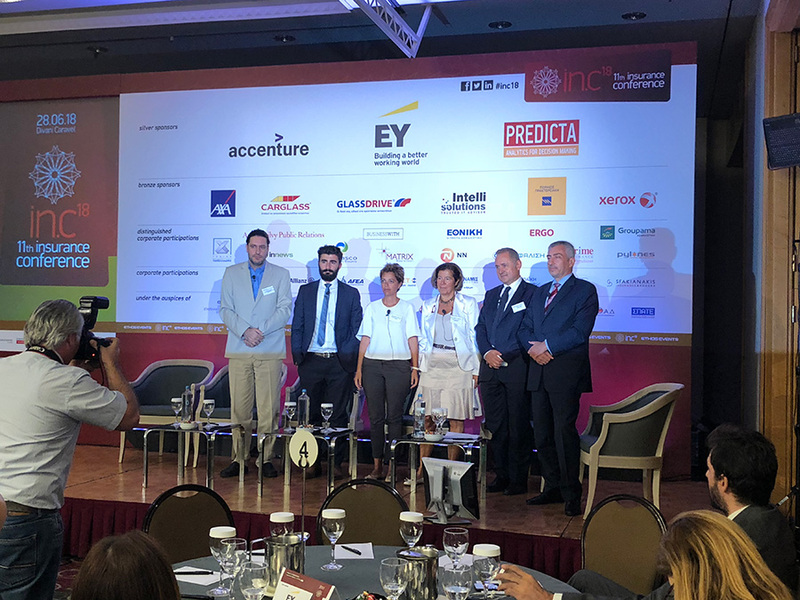 Mrs. Ioanna Koutrouvis, Managing Director of PREDICTA, participated in Panel III whose theme referred to ‘The New Age of the Insurance Market’. Mrs. Koutrouvis’ aim was to stress the various applications that Advanced Analytics have in the Insurance Industry and to demonstrate the benefits gained from such applications. 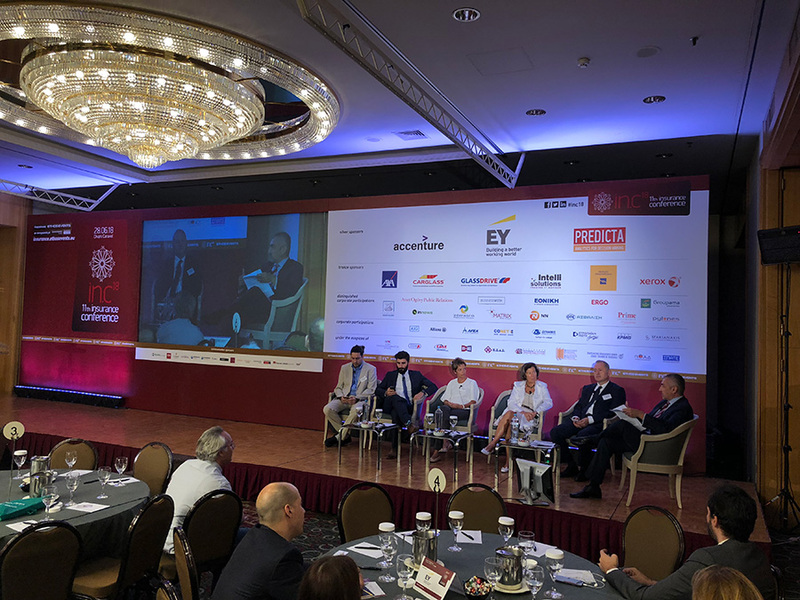 During the Round Table discussion, Mr. Philippos Paschentis, Commercial and Deputy Managing Director of PREDICTA presented PREDICTA’s profile and experience and Mr. Nikolas Konstantinidis, responsible for business development for the Insurance sector, covered the insurance company’s areas where advanced analytics and predictive modelling can contribute as game changers. 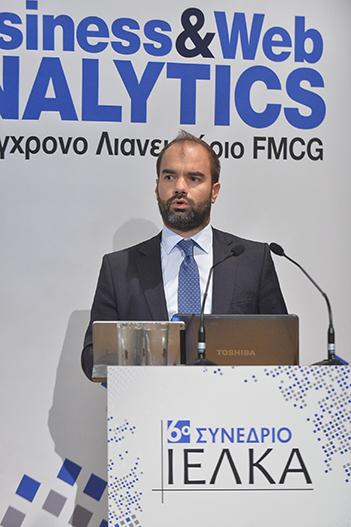 We were pleased to have Mr. Vassilis Hampsas, Head of Customer Analytics at EUROLIFE, presenting the practical experience of an insurance company that is in the process to adopt Advanced Analytics and to transform to a Data-Driven Enterprise. 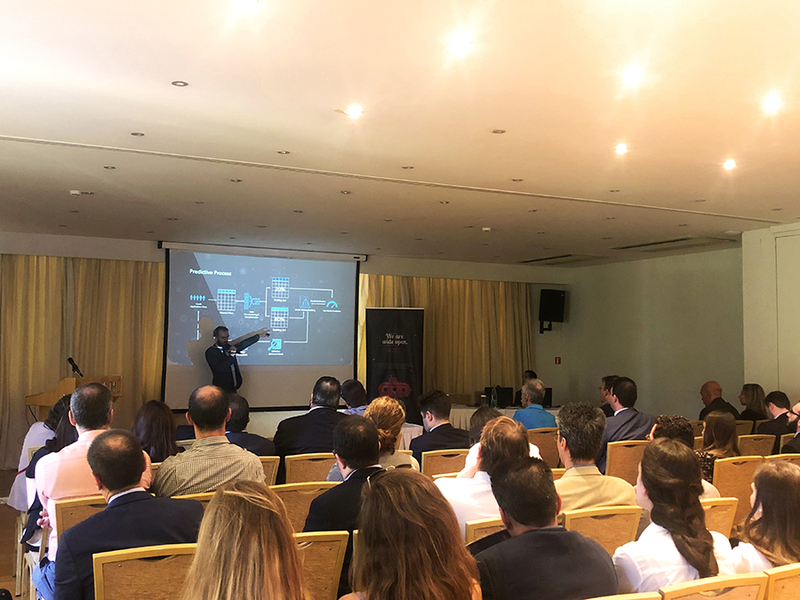 PREDICTA’s and EUROLIFE’s presentations triggered a very interesting discussion among the participants, out of which one of the main highlights was the importance of top management commitment towards the adoption of Advanced Analytics. 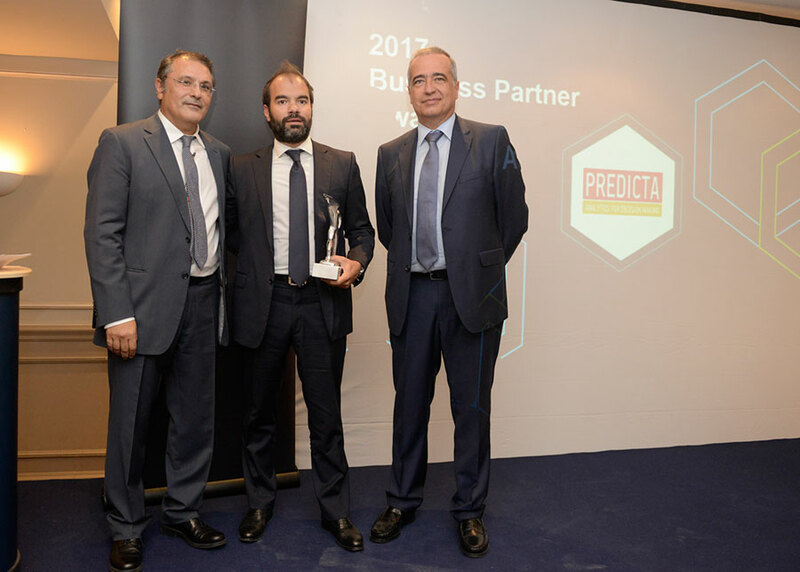 Mr. Philippos Paschentis described PREDICTA’s role as the strategic partner for their clients, in their journey of weaving advanced analytics into their operations. Within such partnership ‘state of the art’ methodologies are adopted, the necessary knowledge transfer is achieved and analytics tasks are allocated optimally between the internal and external teams of analysts. 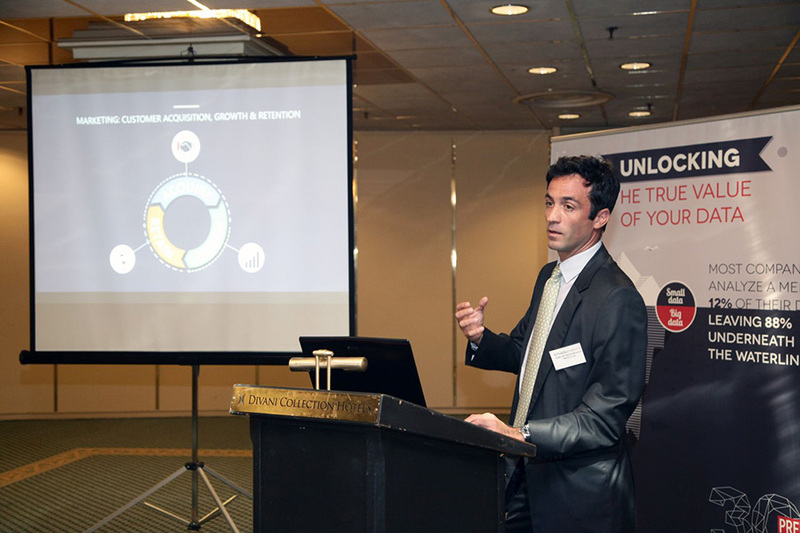 Our Annual Review and Strategy Event took place once again, gladly with great success! 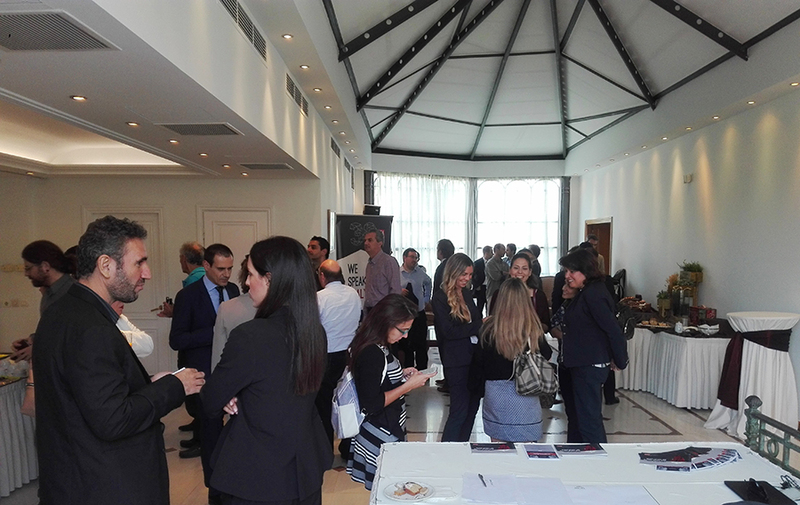 More than 70 attendees gathered at the beautiful venue of Aegli Zappiou and enjoyed an afternoon of interesting presentations and networking over a light cocktail. The ideal weather conditions formed an atmosphere of euphoria. 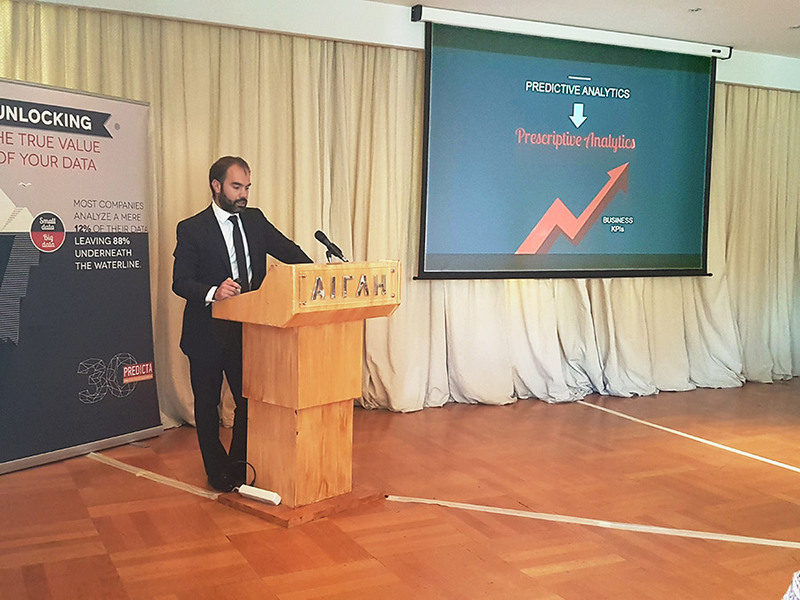 Mr. Philippos Paschentis, our Commercial and Deputy Managing Director, presented on trends dominating the Analytics world for 2018 and shared PREDICTA’s successes and news, as well the company’s vision and developments alongside these movements. Mrs. Tzela Gatopoulou, IBM’s Data Science Sales Leader in Europe, impressed the event attendees with her coherent presentation around the IBM SPSS technology and more specifically on the IBM SPSS Analytic Server, which answers perfectly the challenge of transforming Hadoop residing data to just another easily accessed data source. 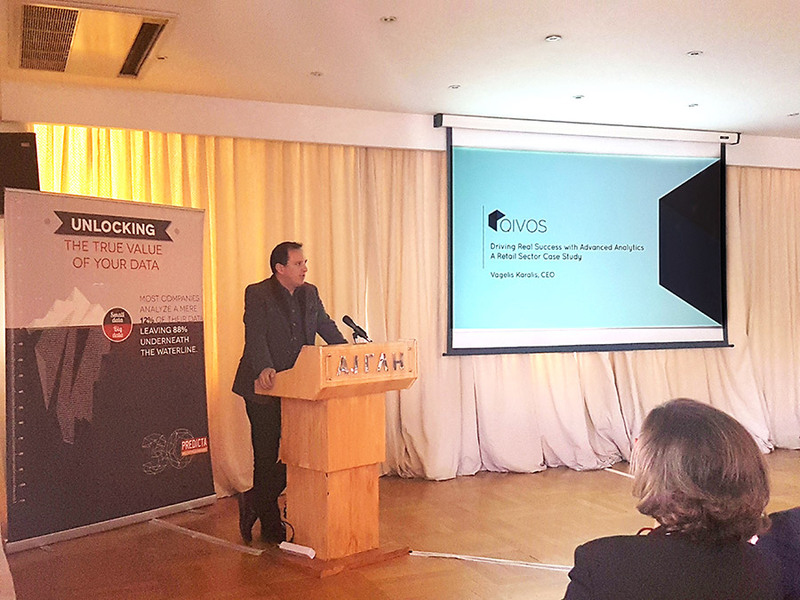 Mr. Vagelis Karalis, CEO of our strategic partner QIVOS, demonstrated through a successful case study the role of Advanced Analytics in generating real value from customer loyalty data. 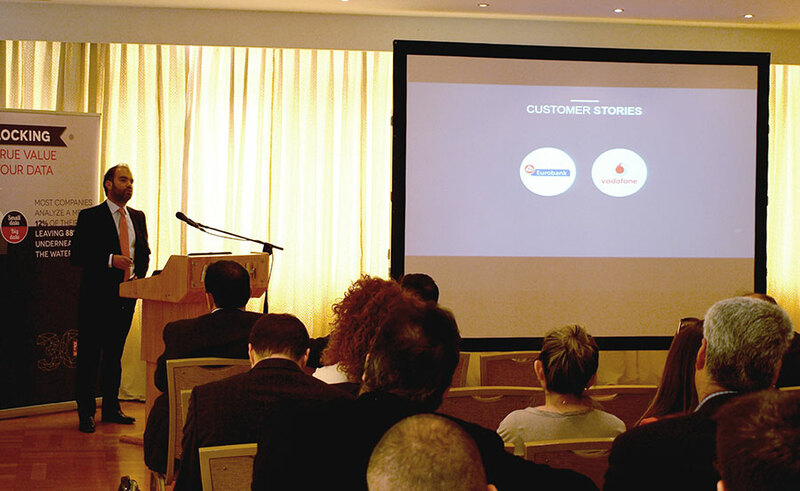 The case study concerned a real customer loyalty scheme and elaborated on how Predictive Analytics applications developed by PREDICTA’s Services team led to the boosting of response rates of promotional campaigns. 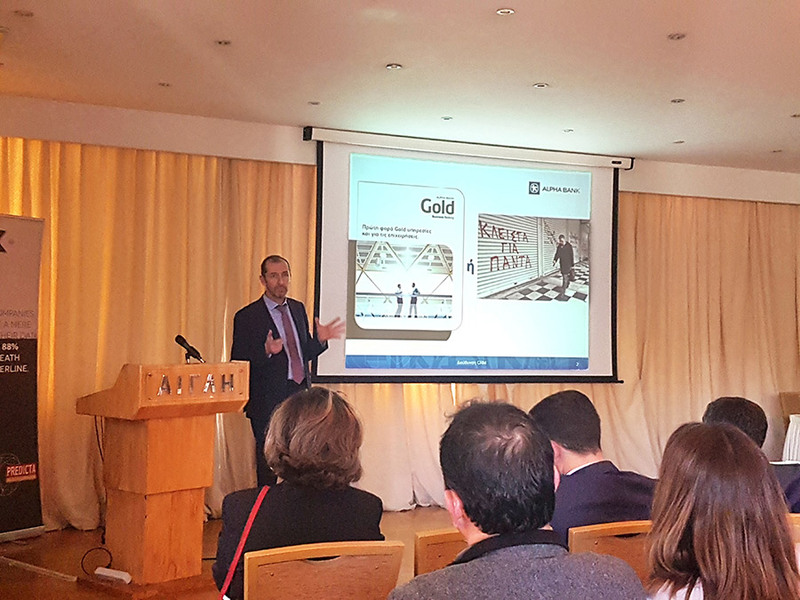 Two different departments from ALPHA BANK, one of our major clients, presented their experience of working with PREDICTA’s Services team on demanding Analytics projects, as well as the comparative advantages and benefits gained through this collaboration. Mr. Konstantinos Anyfantakis, Manager of the bank’s Credit Risk Cost Assessment Division, presented the successful implementation of IFRS 9 related analytical works within a very demanding timeframe, and Mr. Ioannis Petsinis, Assistant Manager of the bank’s CRM Division, presented a fully deployed Segmentation scheme, enabling the efficient handling of small medium enterprise customers. Overall, the day was colored by the participation of a diverse group of guests, with professionals joining from enterprises, banking, telecommunication and insurance companies, institutional partners, consultancies and IT suppliers, who shared their viewpoints and helped shape the conversation about the future of Analytics and the importance of Data in the business journey to success. 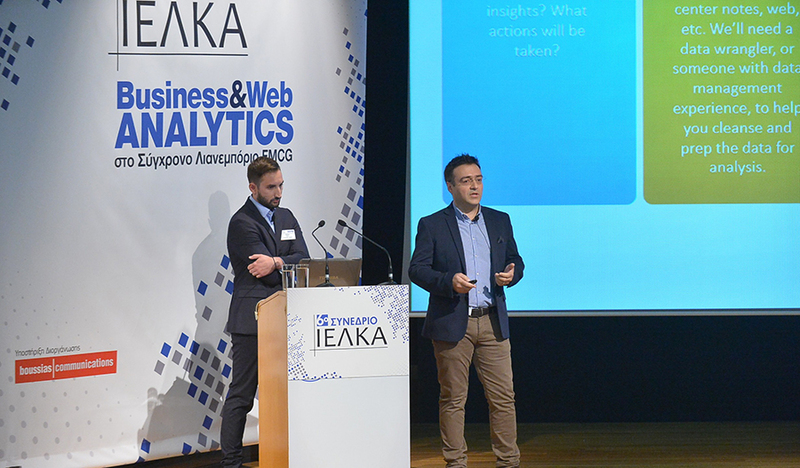 PREDICTA sponsored the established conference of the Research Institute of Retail Consumer Goods (IELKA) on Business & Web Analytics in contemporary Retail & FMCG, which took place on the 3rd of October. 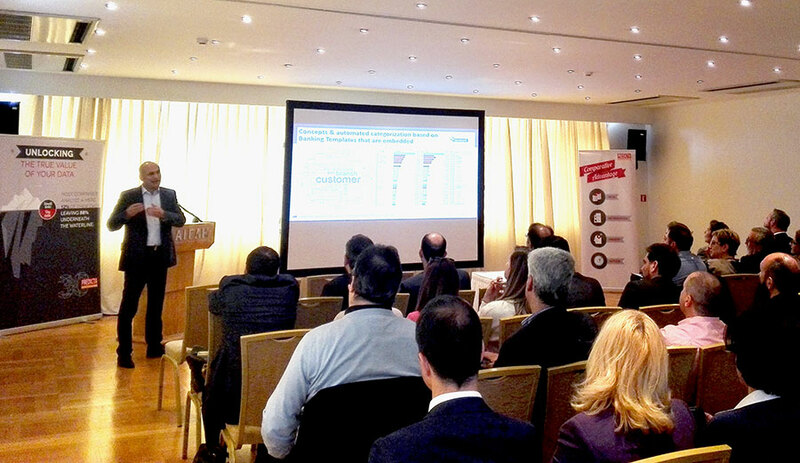 In his introductory speech, Mr. Philippos Paschentis stressed the importance of a cross-industry adoption of Advanced Analytics, while Mr. Theodoros Thanos & Mr. Makis Tsintilas from PZ CUSSONS – MINERVA followed with a presentation of an innovative solution for Price-Promotion Optimization, implemented in collaboration with PREDICTA’s experts. We are proud to announce PREDICTA’s fifth consecutive award since 2012, for its contribution in IBM Analytics software sales achievements in the territory, acting as an IBM Gold Business Partner, with a support and solution provider status. 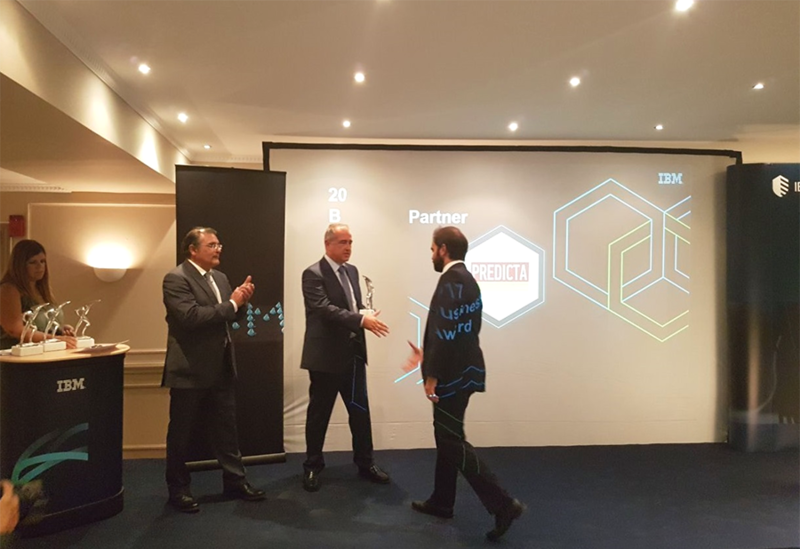 Mr. Philippos Paschentis, PREDICTA’s Commercial & Deputy Managing Director, received a commemorative prize during IBM’s annual Business Partner ecosystem celebration that took place at Glyfada Golf Gardens on the 20th of September. The ceremony was colored with IBM’s strategic imperatives for creating high added value solutions for businesses, by converging technological innovations, in an environment of high security and trust. We are happy to report that our Annual review and 2017 strategy event on Wednesday, 5 April 2017 was carried out with great success and was well received by our guests and clients alike! 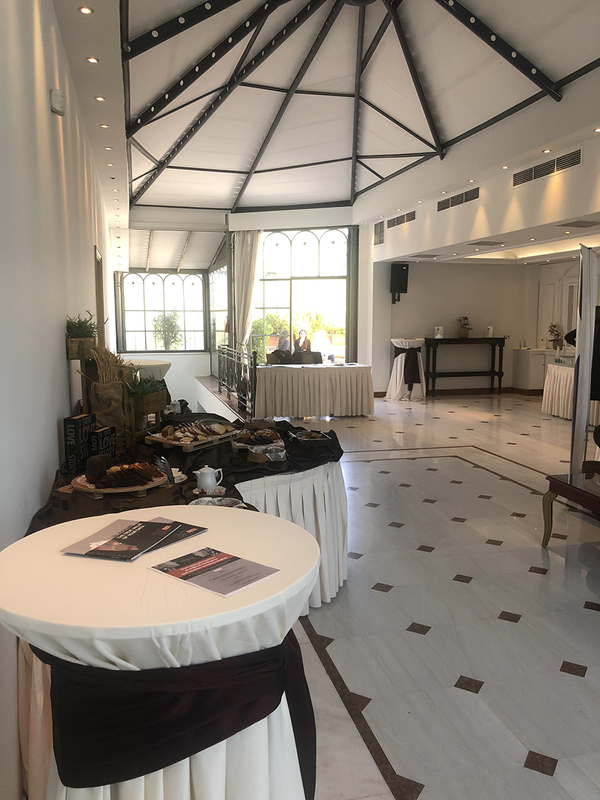 The Privé Hall at Aegli Zappiou, located close to the beautiful national gardens, was the perfect setting on a bright and sunny day – ideal for a business gathering and planning of future ventures. 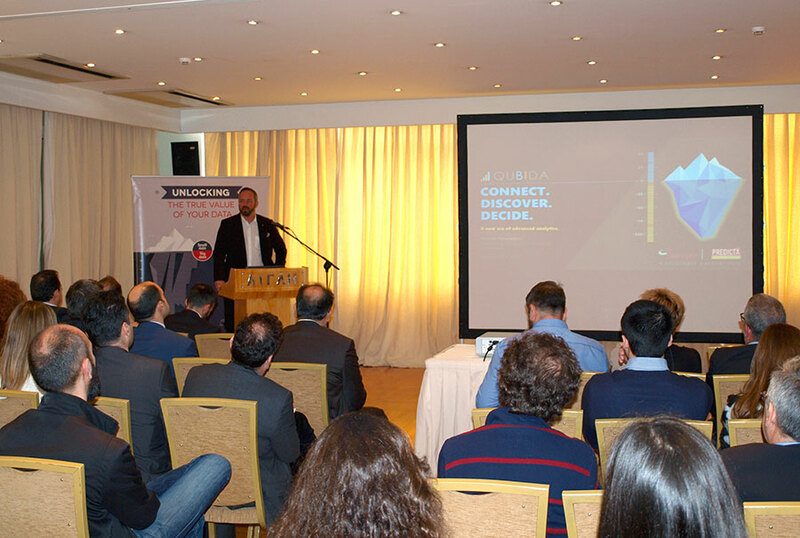 Along with our partners and clients, Philipos Paschentis - the Deputy Managing Director of PREDICTA - presented our big data analytics vision and our upcoming initiatives that will lead us and our clients into the new era of advanced analytics. We were excited to hear from our strategic partners, QIVOS and DATALYNX, who shared their stories and insights on how the application of analytics in all aspects of the business (ecommerce, client liaison, distribution, etc.) transformed their businesses and delivered game changing results for their clients. 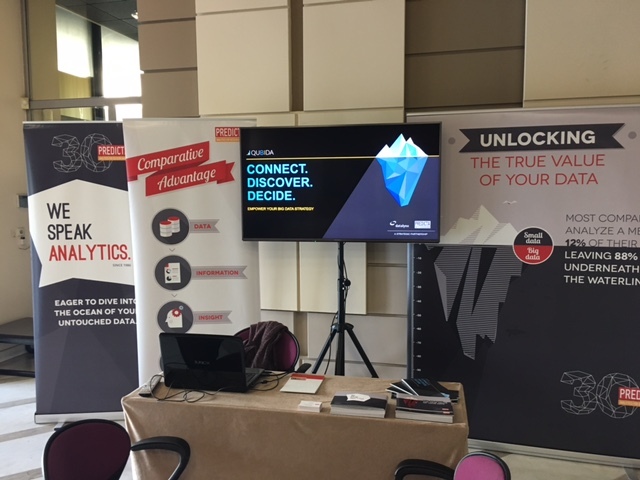 Our clients, EUROBANK and Vodafone, also advocated the value of analytics for businesses, by sharing their text mining initiatives and the almost 20 years' experience with data mining & advanced analytics respectively. Overall the day was coloured by the participation of a diverse group of guests, with professionals joining from enterprises, banks, insurance companies, institutional partners, consultancies and IT suppliers, who shared their viewpoints and helped shape the conversation about the future of analytics and the importance of data in the business journey to success. 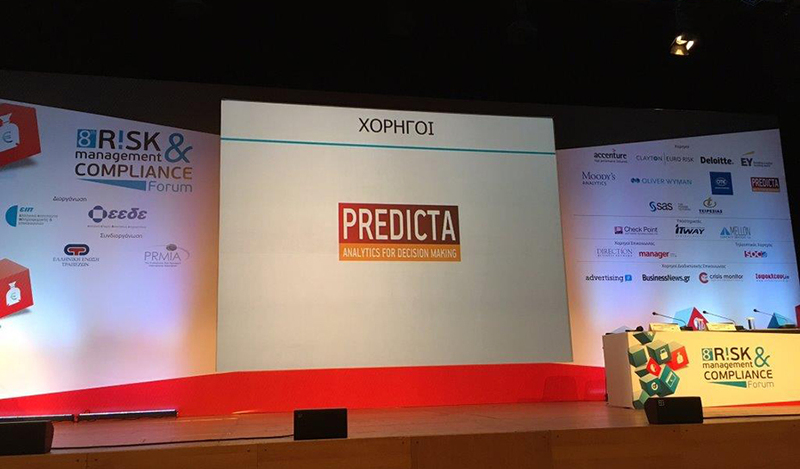 PREDICTA S.A. proudly sponsored the 6th Annual Conference of the Hellenic CIO Forum on the 9th February 2017. 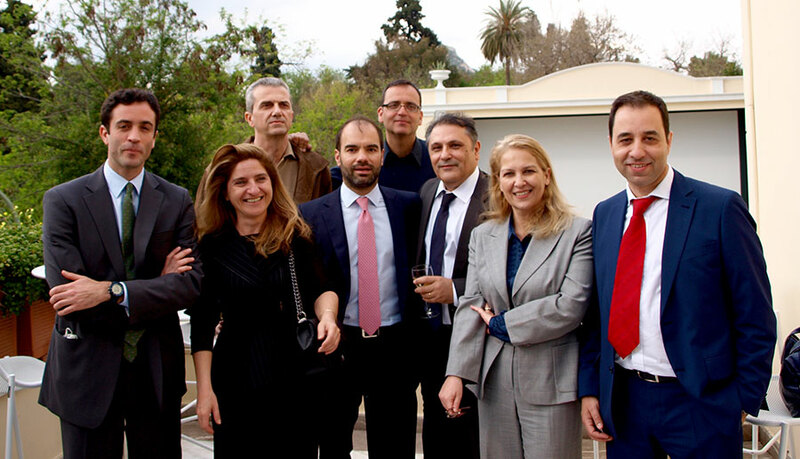 The event was carried out by the Greek Management Association, Information & Communication Institute and demonstrated the role of CIO in a Disruptive Environment. Many senior information technology executives presented ideas and practices in the area of analytics and argued that Big Data technology is the glue to any organization and its best accelerant to growth. The discussion focused on how the market complexity and the evolution of information technologies have created a new ecosystem and how every company should identify, create and generate high quality data to enhance business decisions to achieve a better understanding of the market. 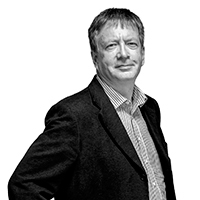 The volumes of data that are collected nowadays are enormous, however the majority of that data is unstructured information. The need to analyze all this information in the fastest way possible, leads businesses to actively engage with Advanced Analytics solutions and employ Big Data management to become productive and meet the specifications required. Big data and analytics are more than just buzzwords; companies need to think about whether they’re following the market's best practices, hiring the suitable talent for their needs and how they can get what they want from their data. Naturally, it requires a change of culture as well as the integration of new processes and practices in the business operations. The challenge is to follow the new wave, adapt to the new reality so as not to be static and overtaken by other companies that will invest in analytics solutions and will finally construct a competitive business strategy. 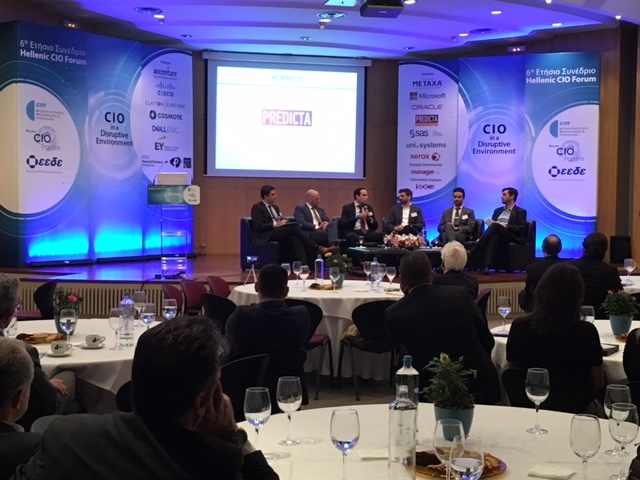 The key outcome of the day was that CIOs can play a significant role in the implementation of Big Data initiatives. CIOs need to step forward and take the lead in helping their organization to focus on the needs of the enterprise. 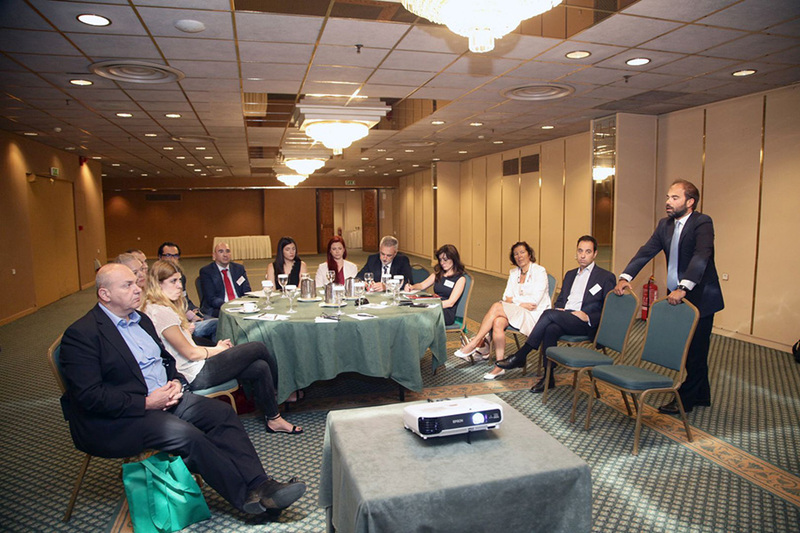 Predicta SA proudly sponsored and participated at the 8th Risk Management & Compliance Forum held in October 2016 - one of the most prestigious and recognizable Forums in the field. 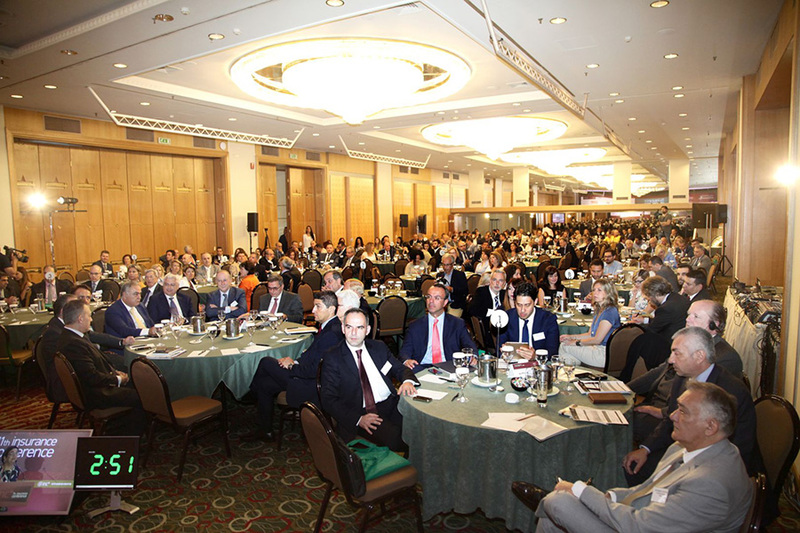 The event was carried out by the Greek Management Association Information & Communication Institute in cooperation with the PRMIA (Professional Risk Managers Association) and the Greek Bank Association (HBA). The financial crisis has brought out the need for effective management and control of financial risks. The event provided a forum for the exchange of information, experiences and know-how related to the areas of risk management and compliance in financial institutions. Representatives of enterprises, banks, insurance companies, supervisors, institutional partners, consulting companies and information technology suppliers presented their insights and analyzed the current situation, developments, trends and the role of risk management and regulatory compliance, not only in Greek but also to the wider European financial sector. Predicta successfully represented Alpha Bank’s ‘quick win’ case study for credit risk management.